The collision repairer behind Ohio’s contribution to the multistate series of lawsuits against insurers has withdrawn the case in favor of a narrower state-level action, one of its lead attorneys said Monday. Akron, Ohio-based Main Paint & Body had sued many of the nation’s largest insurers on Halloween 2014, alleging separate violations of both the federal Sherman Antitrust Act and the Ohio Corrupt Activities Act. Main v. State Farm et al had been combined with nearly two dozen others into a multidistrict litigation (“MDL”) being heard in the Middle District of Florida by Judge Gregory Presnell. On March 20, Presnell granted Main’s request to dismiss the case without prejudice (meaning it can be refiled) made a day earlier and ordered both sides to pay their own attorneys’ fees and court costs. 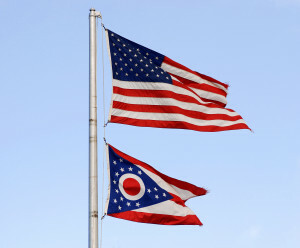 Unlike other states, Main was the only plaintiff in the Ohio case, though it left open the option to become a class-action lawsuit. A few dozen insurers and subsidiaries were named as defendants. Joshua Cohen, one of the two lead Ohio attorneys on the case, said that Presnell’s court had “shown its hand” in dismissing antitrust claims in lawsuits filed by shops in Florida and other states — though Presnell did allow the allegations to be refiled. Attorneys thought it would be better for Main to jettision the antitrust claim and go for a “pared-down version” focusing solely on racketeering under Ohio law, Cohen said. “We would likely have more than just one main plaintiff,” he said. The move would also mean the case would be filed in state court, instead of going to the federal level under the antitrust claims, which Cohen indicated could be helpful to his repairer client. “Litigating a state case in that MDL context is not the easiest thing,” he said. The lawsuit against the insurers alleged that they along with Mitchell, Audatex and CCC — which are listed as “conspirators” but not actually being sued as defendants — committed federal extortion and wire fraud and violations and broke state regulations on insurance fraud, records tampering and telecommunications fraud. It asks the court to investigate implied allegations that insurers forced down rates and hid facts about true market rates and repair times; used Audatex, CCC and Mitchell to adjust estimates in their favor or used “scrubber programs” from the three database providers or audit options like Performance Gateway to play with the data; used direct repair programs to deliberately lower labor rates and times or which produced these reductions as byproducts; or caused the database providers’ results to move in the insurance industry’s favor by impacting the kind of data being submitted to the trio. Another plaintiff dropped from a different MDL case last month, though the many, many other shops involved have stayed on board and the case will continue like before. Belle Chasse, La.-based Big Easy Collision on March 16 asked to dismiss their portion of Parker et al v. State Farm et al, and Presnell agreed the next day. Big Easy will pay its own attorneys’ fees and court costs, as will the insurers with regard to that portion of the case. Allison Fry of Jackson, Miss.-based Eaves Law Firm, which is serving as lead attorney for many of the MDL cases (but not Main v. State Farm) declined to discuss the reason for Big Easy’s departure, citing attorney-client confidentiality. Big Easy did not respond to a phone and email request Monday.